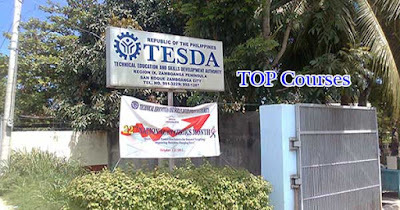 The Technical Education and Skills Development Authority (TESDA) of the Philippines is one of the agencies that offer short and free vocational courses to everybody especially to those youths who can’t be able to send in colleges by their parents. The government made their initiative to establish this organization aiming to help and Filipinos in order to have at least a decent job after finishing and learning to TESDA. Nevertheless, what are these vocational courses in TESDA offers which are mostly in-demand to people last 2016 which you can be also enrolled for this year? These in-demand skills are in construction, information and communications technology, tourism, agri-fisheries, and health and wellness industries, TESDA Director-General Guiling Mamondiong said in a press conference. After graduating from the programs given by TESDA, trainees will be given a National Certificate from TESDA Assessment that comes with benefits that include a quality assurance that the graduate has acquired proper knowledge and an understanding of the task at hand from undergoing a series of practical and hands-on demonstrations, positive attitudes from interviews with people who contribute to the job and work projects. Not only that, but the certificate will also guarantee that the graduate has acquired the values that can help his/her skills needed for the said occupation and for future opportunities that can follow from the success of the current project.